A wise man once said: “in order to know our future, we must know our past.” If we want to understand where cinemagraphs are headed, the history of an older medium – like film – can provide clues. Join me on a brief journey back in time. The year is 1903. Film is still a young medium, slowly establishing itself as a mainstream form of entertainment. Cameras, invented 15 years earlier, are used mostly to record everyday activity: magic tricks, fights, and acrobatics are projected to theatre audiences. 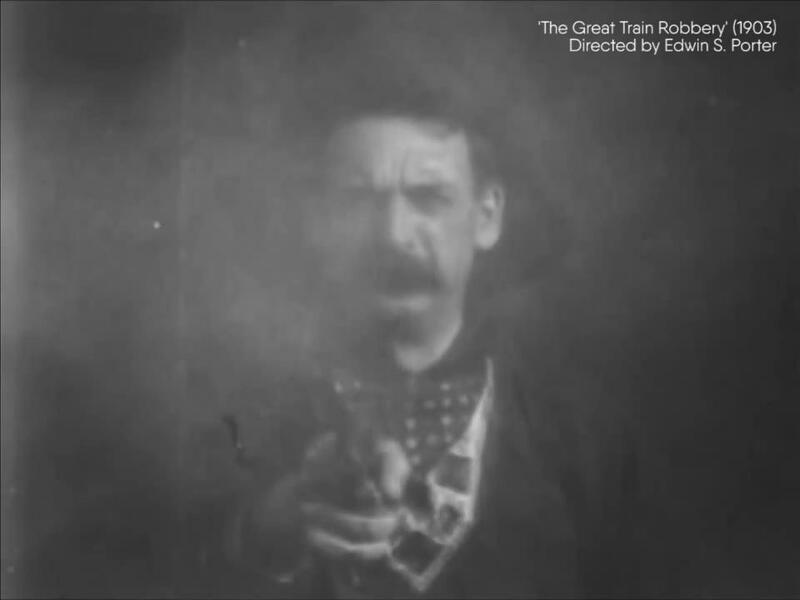 A few days before Christmas, “The Great Train Robbery” is shown for the first time in New York City. Unlike other recordings of its time, it tells a story: a tale set in the old West that captures the audience’s imagination like no motion picture before it. Ten minutes into the movie, one of the characters points his gun directly at the camera. He fires. Smoke pours out of the barrel. Men in the audience yell in fear, several women faint! The lights in the theatre come on. A mixture of amused laughter and relief spreads amongst audience members as they realise they are safe. “Play it again,” they tell the projectionist. It seems to me that cinemagraphs may be approaching a similar tipping point in their evolution. Invented just over five years ago, “living photos” are now beginning to enter the mainstream. Their novel mix of static and moving elements is wowing audiences. This is great news for us cinemagraph enthusiasts. But what excites me just as much: the fact that cinemagraph artists are pushing boundaries, exploring the potential for creative expression. Innovation in film has often been linked to new camera- and editing techniques. Cinemagraphs are no different. In recent months, several artists have taken existing techniques from the world of photography and film, and applied them to cinemagraphs – to great effect. 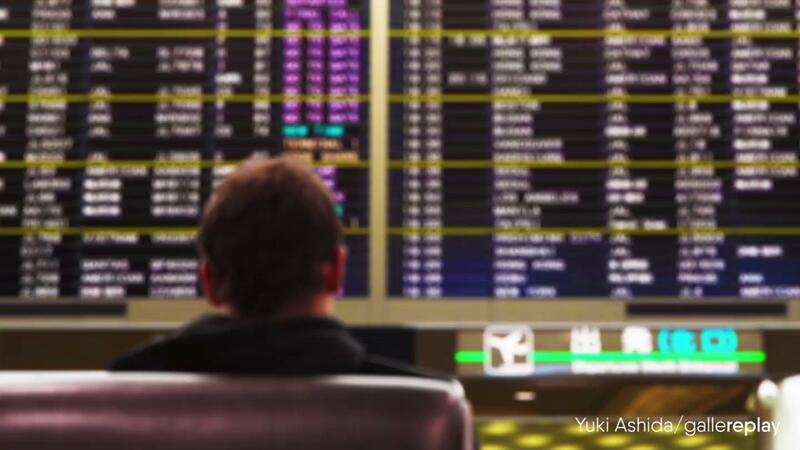 One example is Japanese cinemagraph artist Yuki Ashida, who has perfected “focus movement” in his cinemagraphs (see above). Through a combination of “in-cam” focus pulling and post-production, involving multiple layers of photo and video, Ashida is able to give his cinemagraphs more depth. Meanwhile Dubai-based gallereplayer Sherif Mokbel is experimenting with double exposures. This technique dates back to analog photography, when the same film would be used twice to superimpose two images on top of each other. Mokbel has successfully adapted this technique to cinemagraphs, throwing a living element into the mix. But it’s not just production techniques that are evolving. Creators are also experimenting with new formats and ways for audiences to experience cinemagraphs. In the last months we’ve seen several projects dabble with 360 degree cinemagraphs and virtual reality to varying degrees of success. More recently, gallereplay’s own Michel Mölder has released a short film entitled #WOKEUPLIKETHIS – a sequence of nine atmospheric cinemagraphs accompanied by a Neil Diamond song. The sequence is based on a dream Mölder had. It shows a man waking up in a dark forest wearing only his underwear while holding a burning flare in his hand. The subtle, hypnotizing movements of his cinemagraphs help Mölder to recreate the surreal atmosphere of a dream. Each cinemagraph works as a stand-alone, but watched sequentially, they feel almost like an animated comic book. The question is: can this form of cinemagraph storytelling also work for narratives more grounded in reality? Can it establish itself as a convention of the medium? Michel Mölder believes it can – he’s currently writing the script for his second production. Whether more creators will use cinemagraphs to tell stories through a sequence of images (like in film), or within a single image (like in photography), remains to be seen. The beauty of cinemagraphs is that they lend themselves to both formats. As a creator and admirer of the medium I find this flexibility and lack of steadfast rules thrilling: the medium can still be formed and molded. Ultimately it will be those artists who are most passionate about the medium, and most willing to experiment, that will determine the direction which this new artform takes. Watch this space. 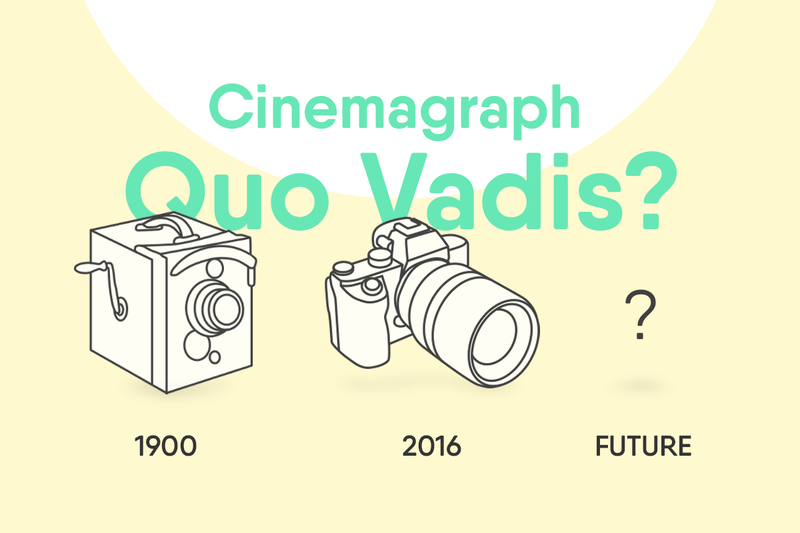 Want to have your own say about the future of cinemagraphs? Leave us your comments on our Medium or facebook page! I'm Marco, the co-founder of gallereplay. Before falling in love with cinemagraphs I worked as a journalist and producer for CNN International. I'm passionate about great stories, golden-era hiphop and a well-mixed Sazerac. Sie möchten Ihr Projekt zum Leben erwecken? Lizenzieren Sie aus unserer wachsenden Sammlung an Stock-Cinemagrammen oder geben Sie eine Produktion in Auftrag! Was muss ich über die Lizenzen von gallereplay wissen? Wie errechnen sich die Preise für Cinemagramm-Lizenzen? Welche Daten erhalte ich nach dem Kauf und wie erhalte ich sie? Wie ist der Ablauf von individuellen Produktionen? Ich bin Künstler, wie werde ich gallereplayer? Wer unterstützt mich bei der Suche nach passenden Cinemagrammen? ...Und erhalten Sie jeden zweiten Monat ein kostenloses Cinemagramm!